Yes! Magazine was founded on Bainbridge Island and has had its headquarters here for nearly 20 years. The magazine’s charter is to reframe the biggest problems of our time in terms of their solutions, outlining a path forward with in-depth analysis, tools for citizen engagement, and stories about real people working for a better world. 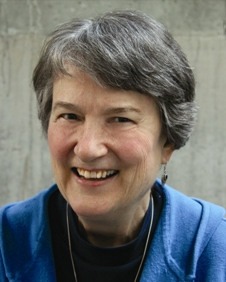 In this podcast, Fran Korten, publisher of Yes!, talks with host Jack Armstrong about the role the magazine plays in encouraging and supporting societal change, and about the unique relationship it has with the Bainbridge Island community. Fran begins by describing her professional career — which took her to countries around the world and included 20 years with the Ford Foundation — and then explains how those experiences were a perfect lead-in to her position with Yes!. She speaks passionately about the magazine’s role in offering constructive alternatives for citizen action to help combat the “climate of despair” that has been created by the media. The print version of Yes! is published quarterly, but new stories are posted daily on its website at www.yesmagazine.org, and a weekly Friday afternoon e-mail highlights the week’s most positive developments. 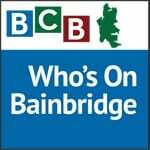 Bainbridge residents can find out more about the magazine at one of the regular orientation sessions at its Bainbridge offices. Credits: BCB host: Jack Armstrong; audio editor: Tim Bird; BCB social media publisher: Diane Walker.